Christianity, is there a future after secularization? From Finland with love. Is Catholic thought going to be a minority to protect? It’s almost certain that cardinal Angelo Scola, patriarch of Venice, will be appointed archbishop of Milan, the biggest diocese in the world. 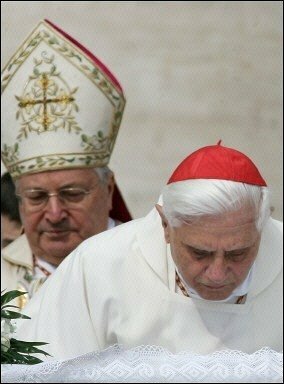 It was Benedict XVI himself who promoted the appointment of Scola: the Pope knows personally Scola, and – as usually – when he has to make an important appointment, he appoints people that he knows personally and that he fully trusts. This is what the Pope did when he appointed the primate of Belgium, André-Joseph Léonard. This is what the Pope did when he named cardinal Tarcisio Bertone Secretary of State. Even Scola wants to be archbishop of Milan. It is not just a sort of vindication for the Patriarch of Venice, since he comes from Milan but he was not ordained priest in his home-diocese. Cardinal Giovanni Colombo, archbishop of Milan at the time, had strong reservations about Communion and Liberation, the ecclesial movement whose Scola was a strong activist, and so Scola was ordained priest in the diocese of Termoli. From there, he had begun an ascent who brought him, from being number 2 of Fr. Luigi Giussani, founder of Communion and Liberation, to a free-thinker activist within Communion and Liberation itself, until his appointment as Patriarch of Venice. In Venice, Scola did not typify himself as a man of Communion and Liberation. He founded a «Studium generale» there named after Saint Mark, the patron of the city, which covers all of the stages of learning, from childhood to university, with students from many countries, with courses in various disciplines and theology embracing them all, and with its own publishing house. He then created a magazine and an international cultural center named «Oasis», as a bridge to the East, from Eastern Europe and Northern Africa all the way to Pakistan, in multiple languages including Arabic and Urdu, with marked attention to Islam and Christianity in those countries, with periodic conferences between bishops and Christian and Muslim experts. In Milan, Scola will have two tasks: the first one is to keep culturally active and at the same time anchored to orthodoxy the diocese of Milan; the second one will be to chair the board of administration of Istituto Toniolo, the “strongbox” of Catholic University and of other 13 universities inspired to Catholicism, schools and hospitals. But his main task will probably be another one: to open – and hopefully to close – the beatification process of Fr. Luigi Giusanni. 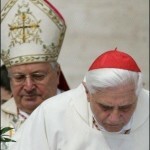 It is very important for Benedict XVI – who celebrated Fr. Giussani funeral as pontifical delegate – that the beatification process would be brought on in the best way possible. Scola is the right man to do it. Behind the shadows of the dome of Milan, a larger game has been played. It was a sort of «chess» played by large sectors of the Curia, with the goal to occupy every single space of power. There is the strong impression that it is now the time of a crucial transition for Vatican balances. After this transition, nothing will be the same. Two of the main characters of the last part of John Paul II pontificate, cardinals Angelo Sodano and Camillo Ruini, retired some time ago and will not be able to take part to the next conclave since they are older than 80. Yet, both of them have still their importance and influence in the Sacred Palaces. Sodano, former secretary of State, had a brief interregnum before he had to give up his charge – Bertone was nominated in June 2006, but he took possession of his new charge in September. Then, Sodano extended the interregnum by not leaving his office until his new office of Dean of the College of Cardinals had not been completed. In his new office, he still meets his faithful friends, prelates that together with him and thanks to him made career in the Vatican diplomacy. Mons. Gabriele Caccia and Mons. Pietro Parolin often go and visit him when they are in Rome – they are now appointed as nuntii in Lebanon and Venezuela. Mons. Parolin suddenly jumped forward in the rose of candidates to be archbishop of Milan, and there is now the possibility that he will then appointed as successor of card. Scola as Patriarch in Venice. Even card. Leonardo Sandri often meets card. Sodano. Sandri is the prefect of the Congretation for the Oriental Churches, and owes his career to Sodano. This latter appointed him as Apostolic Nuntio in Mexico, in order to face the mounting denounces to Legionaries of Christ – Sodano was very linked to the Congregation founded by Marcial Maciel. Then, Sandri became Substitute in the Secretary of State, and then he had the charge of Prefect of the Oriental Churches, a very important one. Card. Ruini is now president of the scientific committee of Ratzinger Foundation, but he is also president of Progetto Culturale, the organization that manages the money for the Culture of the Italian Episcopal Conference. Even the founding for Istituto Toniolo pass through the Progetto Culturale. Nowadays, it’s Bertone that is running for the Istituto Toniolo, anxious to have fellowships within the strongbox of Catholic culture. Bertone is backing as new president of the Board of the Administration Gian Maria Flick, former Italian minister for the Justice. The name of Flick resounds of the third empire that is now firing for the last times. Card. Achille Silvestrini had been a powerful and admired member of the Roman Curia. His career has nevertheless drowned, even after the publication of Via col Vento in Vaticano, a poisoned-pamphlet written with the task to attack the Silvestrini-Casaroli cartel in the State Secretariat. Yet his opinion seems to be important again. Gian Maria Flick would be – according to rumors – part of the Silvestrini-cartel. He was one of the lawyer of the trial that abolished the crime of slavery, and consequently the crime of plague. There were several law proposal in Italy to reintroduce at least the crime of psychological plague, but none of that succeeded. The appointment for the new archbishop of Milan and the struggle for the new board of Istituto Toniolo were just the pretext for a sort of game for the power that seems to be a struggle to survive, since the cartels are going to fall. Even the links with the external world of the Vatican are at risk. Gianni Letta, the shadow of Silvio Berlusconi, Gentleman of His Holiness, the man who links Italian State and Church, is now under attack. There were at least three judicial inquiries that stroke him and his men: one against him, the other one against Guido Bertolaso that brought to Propaganda Fide scandal, the last one against Luigi Bisignani, exponent of the masonry well known in the «good society». Cesare Geronzi, the banker that sponsored the 2005 World Youth Day, is now out of scene. Giulio Tremonti – Italian Minister for the Economy, appreciated by Benedict XVI and close to the ecclesiastical environments, that his aiming to be Prime Minister – risks to be marginalized. In the mean time, the last true exponent of the finance inspired on Catholic values, Antonio Fazio, has been subjected to a controversial first appearance sentence. This is the temperature of the Roman Curia. A Curia too appeased on Italian issues, sometimes – but there is a Vatican diplomacy who is alive and not taken in account by medias – with no awareness of the universal mission of the Church. After these last fires, everything will change. Now Marc Ouellet – a Canadian – is the Prefect of the Congregation of Bishops, and this fact is emblematic: the new Episcopal appointments will be done with a different point of view from the Italian one, even if they concern Italy. The Joseph Ratzinger’s Papacy was not a transition papacy. It is the quiet transition to a revolution.